The Josie Show is a part of the Josie Network, LLC of brands. The Josie Show debuted in 2009 with host/owner, America's Radio Sweetheart, Josie Passantino at the young age of 14 years old. Josie is a multi-award winning host with multi-award winning brands under her full network. The show quickly gained popularity and grew into an award-winning talk show interviewing guest including new music artists, actors/actresses, songwriters, authors, celebrities, and legends. 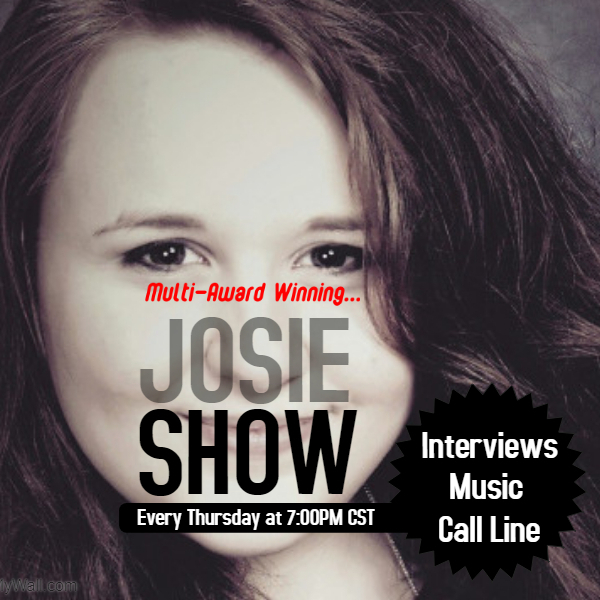 The Josie Show is live every Thursday night worldwide at 7 pm central time zone, USA. The show airs at www.josieshow.com, www.countryblastradio.com, and on our Country Blast Radio mobile app. The syndicated Josie Show has a large worldwide audience of all ages. The multi-award winning Josie Show hosted by multi-award winning host Josie Passantino. Guests joining Josie tonight are Alexa Grover, Mike LeBlanc, then we chat with Sawdust Road and debut their brand new song. Tonight on the Live Josie Show songwriter and singer Chuck Thomas joins us to debut his latest song "Wounded Warrior" with host Josie Passantino. Don't miss it! Josie chats with guests Dee Rock, Connie Cassell Tuck,and David Passmore about their writng and music work together. Join us for special guests Connie Cassell Tuck, Steven K, and Frank Howell tonight on the multi-award winning Josie Show. Josie debuts their brand new song tonight titled, "Broken" on the live show. Josie is joined by special guest Amy McAllister! Amy is a former JMA winner and performer of the 2018 Josie Music Awards, we are excited to catch up with her! Josie and Amy will even reveal a secret during the show. Tune in tonight as Josie chats with the legendary, Hall of Famers, The Hammond Brothers. Also joining them is their tour opening act Alivia McKenna. Josie Show Episode #435 New To The JMAs? Let us help you!